A few Amazon Deals! Bitterroot tent and WowWee Wrex! The reviews on this little guys are really good. 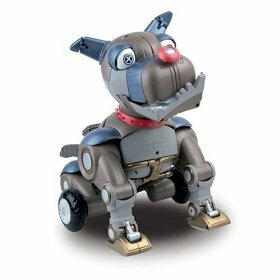 He is only $39.99 marked down from $149.99!! But, I have heard that he is a better present for older children or Adults! He is very entertaining, but little kids might not get the humor! I am thinking my 12 year old boy would love it! Go HERE. 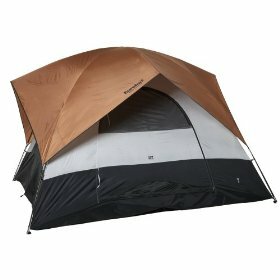 Amazon is currently offering a Eureka Bitterroot 11-Foot by 11-Foot Six Person Square Dome Tent for just $150 down from $299.99! Just click HERE then on “View Lightening Deal!” Thanks, Deal FInding Chik! My parents gave my Brother and his wife a tent for Christmas last year. It was a HUGE hit! This glass teapot is an elegant and highly functional utensil for loose-leaf tea preparation. Rishi gift boxes are made of handwoven bamboo, an eco-friendly and highly renewable and sustainable resource. Rishi’s Organic tea farms and processing facilities are certified according to strict international and USDA standards. Choosing certified organic tea supports a healthy and sustainable future for tea producers and drinkers alike. 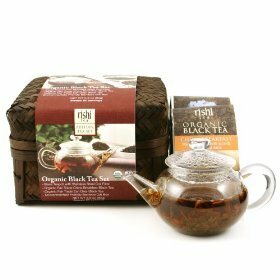 Organic China Breakfast: Pure Yunnan black tea with a rich, malty flavor and a robust, energizing character. Organic Earl Grey: Bold and sweetly smooth with an enlivening citrus aroma of real bergamot fruit. Our mission is to offer the finest garden direct teas of each season. We travel thousands of miles throughout the tea producing regions and taste hundreds of samples only to choose a handful of the season’s best teas for our customers. Fair Trade Certified: Your purchase of Rishi Tea contributes directly to an improved quality of life for tea farmers and their families. At Sephora, Philosophy gift set for only $5 + money back! I just went through Shop at Home and ordered a set of these for my son’s teacher. It worked perfectly, I just had to type in “Grace me with a kiss set” when I got to Sephora from Shop at Home. I am still learning how to do this! Sephora is offering up this Philosophy: Grace Me With a Kiss Set for just $5. Shipping is FREE with code SHIP4FREE. Plus, you’ll get to Choose 3 FREE samples at checkout! Plus you can go through Ebates and earn 4% cash back or Shop at Home and earn 8% cash back. And if you are a new member, you will get a $5 bonus on top of the cash back! 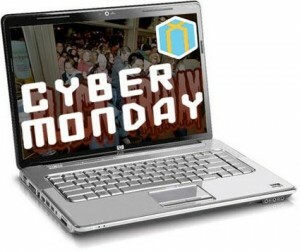 Cyber Monday, double the cash back! It’s free to shop through both ShopAtHome and Ebates. Plus you’ll get a bonus gift card just for signing up once you make your first purchase. Thanks Erin! iPod touch for $158 Best deal yet! 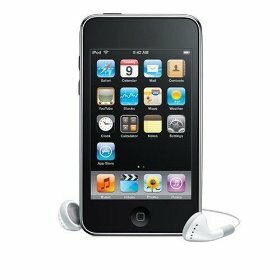 Jump on one this one if you’re looking for an iPod Touch as a gift, because I’m sure it won’t last long! Get an Apple iPod Touch 8 GB for just $158 right now. This is as good as the refurbished price from Apple. Then save up some of your Swag Bucks for an iTunes GC or two and you’re set! Old Navy and Gap + 20% Back!! Old Navy & Gap are offering up some HOT Cyber Monday Deals and not ONLY that, but you can go through ShopAtHome and get 20% cash back–yes, you heard me right–20% cash back! Go to ShopAtHome! You’ll get a $5 sign up bonus if you’re a new member and 20% Cash back from your Gap or Old Navy purchases! You’ll need to login or register, then in the search box type in Gap or Old Navy. Keep in mind this is a double rebate day for some merchants, so it will show 10% cash back when it comes up, but you”ll get 20% back! Yay! Click the ShopAtHome Gap or Old Navy link and it will redirect you to the Gap or Old Navy site and you can start shopping! 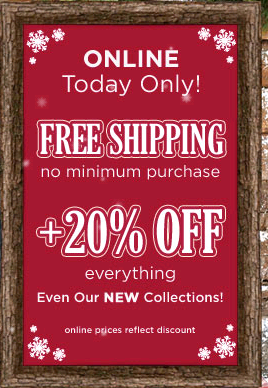 Both, Gap & Old Navy, are offering up an additional 20% off ALL items + FREE shipping today, 11/30 ONLY! Aeropostale is offering 50-75% off everything plus free shipping on orders over $75. Shipping starts at $7 and if you spend $75 or more, you’ll score FREE shipping! Plus you can go through Ebates and earn 4% cash back or Shop at Home and earn 5% cash back. And if you are a new member, you will get a $5 bonus on top of the cash back! Gymboree is offering 20% off everything online plus free shipping. The online prices already reflect this discount, so you might be able to use another % off code with this sale. Be sure to check all your parenting type magazines you have at home for a discount post card. Also you can look for online codes on retailmenot. Plus if you spent $50, you will get $25 in gymbucks to use later! This deal is good through midnight tonight! Old Navy, Gap, Banana Republic, Peperlime and Athleta are offering 20% off your entire purchase plus free shipping today only! Just use the code Monday at checkout. Plus you can go through Ebates or Shop at Home and earn 10% cash back for Old Navy, Gap and Peperlime and 5% for Banana Republic and Athleta. And if you are a new member, you will get a $5 bonus on top of the cash back! This deal expires tonight at midnight! New York & Company is offering 50% off everything (even sale items) online PLUS FREE Shipping. Use Promo Code 4136 at checkout. Plus you can go through Ebates and earn 8% cash back. And if you are a new member, you will get a $5 bonus on top of the cash back! You can go through Shop at Home, and earn 6% cash back on your purchase! Plus if you are a new member, you will receive an additional $5 bonus for joining! This offer is only valid today, November 30, 2009! Reebok.com is offering up 40% off plus you get free shipping when you use the code CYBER40 at checkout! The 40% off discount includes ALL clearance and sale items! Plus you can go through Ebates and earn 5% cash back or Shop at Home and earn 7% cash back. And if you are a new member, you will get a $5 bonus on top of the cash back! Stride Rite is offering an additional 25% off today only with the code GIFT25 at checkout. 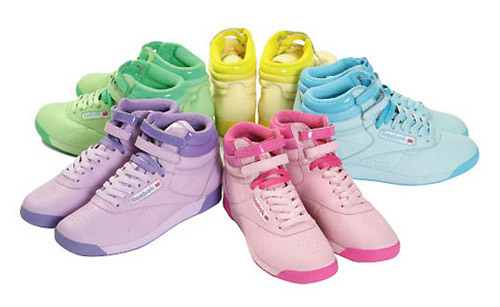 You also get free shipping when you buy at least 2 pairs of shoes. Unfortunately there is no cash back offers for Stride Rite. Boo! Robeez is offering 25% off your purchase plus free shipping with the code: GIFT09. Plus you can go through Ebates and earn 7% cash back or Shop at Home and earn 7% cash back. And if you are a new member, you will get a $5 bonus on top of the cash back! 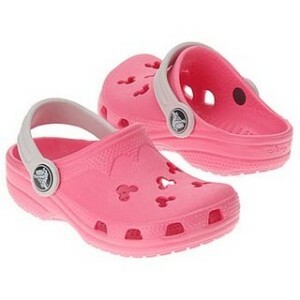 Crocs.com has everything marked 20% off plus you can use the code N9DWZLKY3ISA for an extra 5% off and secondchance to get free shipping. Plus you can go through Ebates and earn 6% cash back or Shop at Home and earn 7% cash back. And if you are a new member, you will get a $5 bonus on top of the cash back! Thanks Couponing to Disney! Once again, I am late jumping on the wagon! Just like all the Swagbucks I have been missing, I never took the time to sign up for Shop at Home or Ebates. I finally did it today and am a little irritated with myself for not doing it sooner. I signed up for both Shop at Home and Ebates today. It was painless. Then I thought I would try it out to see if it was worth it. Oh, by the way, when I signed up for both I got an instant $5. So I bought the little Police Bike in the post below ( SHHH! It is for my 3 year old from you know who!) First, I went to Shop at Home, then I typed in JCPenny, on the right side it said SHOP NOW. So I clicked that, and it took me to the JCPenny website where I typed Police Bike in the search and went from there. It worked perfectly and I could still use my promo code on top of the money Shop At Home is paying me back! I shop online more and more lately. Saving every little bit helps, it takes a little while to add up but it does. In the past month alone I have gotten $25 in gift cards form Amazon. Not much in itself, but over 12mo. that is $300. A good dent in Christmas money. $29 First Police Bike from JCPenny + Cash Back! Get this 1st Police Bike for $29.99 (reg $69.99) It has a 5 star rating and you can choose between pink or blue! Use coupon code 25MERRY for FREE shipping. Plus if you go through Shop at Home, you will earn 3% cash back on your purchase! Plus if you are a new member, you will receive an additional $5 bonus for joining! The OpenSky Shop (scrapbook store) is offering up $25 worth of FREE products + FREE shipping! Also, if your order is under $25, then you won’t need a credit card! Just hurry on over here and quickly choose what you’d like to order. At checkout use coupon code tasra2509. That’s it! **You can check out more details on this awesome promo here. Because of so many people on the site, it is loading very slowly! Keep refreshing, or call their 800# to place an order on the phone, they are very nice! Thanks Collin! You are currently browsing the Mylitter's Blog blog archives for November, 2009.